Guest post by Jared. There are a number of factors you need to consider when choosing a Usenet provider. When you think of Usenet chances are good that pictures of dial-up modems and black screens with green text pop into your mind. And who could blame you. Usenet had already been around for 10 years by the time the World Wide Web came into existence. But the years have been kind to Usenet. Far from being tossed in the scrap heap of history, in many ways, Usenet is more popular than ever. The recent shift from Usenet service provided by your Internet Service Provider (ISP) or local University to premium Usenet providers has brought both more choice and more confusion. If you download a lot from the Internet, there is nothing better than downloading from Usenet. Here are three tips for choosing the Usenet provider that’s right for you. 1. How Long is Their Binary Retention? Retention refers to the amount of time text messages or files (a.k.a. binaries) are stored on the Usenet server. For example, if you are looking for a file that was uploaded 365 days ago, but the server only has retention of 300 days, you won’t be able to find and/or download that file. Any good Usenet provider is going to offer binary retention of at least 1,000 days with text retention at 1,500 days or more. 2. What Kind of Security is Offered? When you think of security on Usenet, there are really two things to consider. First, do they offer a secure SSL connection to the Usenet server? An SSL connection creates a direct link between you and the Usenet server making it impossible for prying eyes to see what is happening inside the connection. The second security issue to consider is server logs. Does the server keep a log of the transactions? No server log means there is no record of that transaction. True Usenet security is 256-bit SSL encryption with no server logs. 3. Are There Any Speed or Data Caps? One of the major benefits of Usenet is speed. 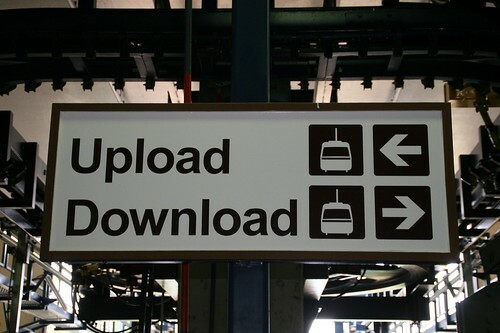 A premium Usenet connection should allow you to download at speeds as fast as your internet connection will allow. Some providers may cap the speed at which you can download in order to limit the strain on their servers. Likewise, some providers may also cap the amount you can download each month. Real unlimited Usenet will allow both unlimited speed and downloads. There are a number of good Usenet providers available. Sites like Comparere and NewsGroupReviews do an excellent job of giving you the pros and cons of each. Retention, security and speed are three important pieces that allow you to get the most out of your premium Usenet connection. Make sure your provider is meeting your needs. Guest author Jared is the manager of public outreach for Binverse.com, a leading all-in-one Usenet provider. You can follow his updates at @Binverse. Photo by Johntrainor under CC license.